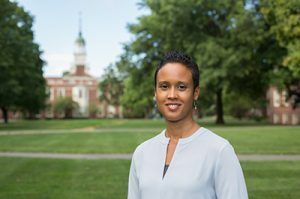 Jasmine A. Mena, PhD is an assistant professor of psychology at Bucknell University and a licensed clinical psychologist. She completed her doctorate in clinical psychology at the University of Rhode Island. Her research examines the influence of culture and context on health and wellness. Specifically, her research examines the influence of identity and cultural values on physical and mental health perceptions and behavior. The ultimate goal of her research is to develop and implement interventions to improve the health and wellbeing of vulnerable and underserved populations in the community and underrepresented students, faculty, and staff in higher education.